The future of the Canadian Road Race of Champions looked very promising in 1979. The Canadian Automobile Sports Car (CASC) club had modelled their National Championships after the Sports Car Club of America's very successful "Runoffs". 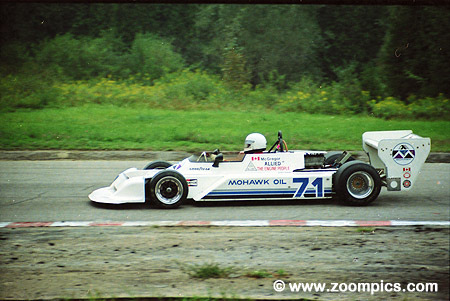 1980 was the second of a five-year contract that CASC signed with Mosport. Unfortunately, it did not live up to its promise. There was no promotion for the event and poor attendance by spectators and competitors. Although there were less than 120 entries, they still provided some exciting racing. Atlantic Region driver Jeff Wright qualified second overall and in the C Sports Racer class driving a Lola T-492. Pole-sitter Jon Reski in an SCE was the early leader but retired after 2-laps with an ignition problem. Wright fell back to fourth overall but won the C Sports Racer championship beating four other C Sports Racers. The front half of the GT1, GT2, GT3 and C Sports Racer grid on the pace lap in corner 4. On the pole is the SCE of Jon Reski and on the outside is Jeff Wright. Behind the two fastest in C Sports Racer are GT2 competitors Tom Jones in a Volkswagen Scirocco and 1979 National Champion Werner Von Engelbrechten in a BMW 320i. 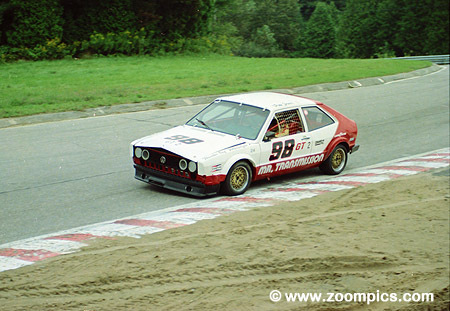 Tom Jones driving a GT2 Volkswagen Scirocco had a number of firsts at the 1980 Canadian Road Race of Champions. Jones was the fastest qualifier in GT2, first overall in the race and won the GT2 Canadian National Championship. He would compete in the American Runoffs qualifying fourth and running third until he retired. At the 1981 American Runoffs, he led the first 17-laps before he spun resulting in a third place finish. 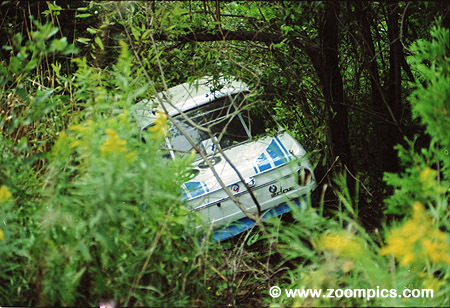 Rolf Von Engelbrechten in a BMW 2002 and the Datsun 510 of Sai Chui made contact in corner four. Both cars went over the guardrail, fortunately, neither driver was badly injured. The delay caused by this is incident would have an impact on the event and schedule. 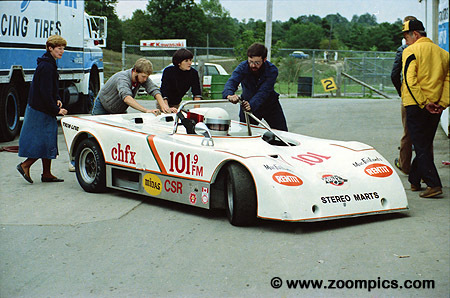 Bob MacGregor towed his Formula Atlantic March 78B from Vancouver, British Columbia. But along with the Formula 4 competitors would not compete for a National Championship. The incident between Von Engelbrechten and Chui had an adverse impact on the schedule and with darkness setting in the Clerk of the Course decided to cancel the last race. Percey Alder leads Brian Bound and Ross Bentley into corner 5A. Formula Ford was the largest field with over 30-entries. 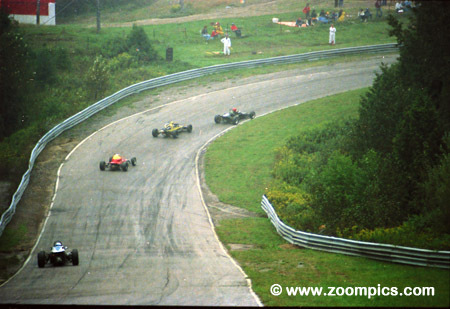 The race was initially a battle between Scott Goodyear, Allan Berg and 1979 champion John Scatch. Mid-way through the race Goodyear spun handing the lead to Scatch. On the next lap, Scratch spun giving the lead back to Goodyear who would win the Formula Ford Championship by 17-seconds. 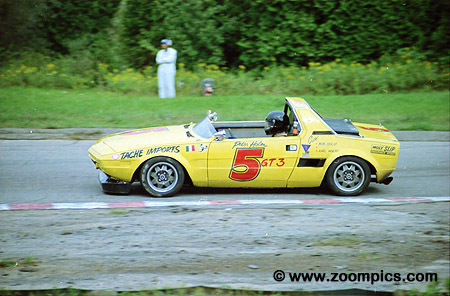 One of the quick cars in GT3 was the Fiat X1/9 of Winnipeg, Manitoba driver Peter Holm. He qualified second but the car's track was not within specifications and Holm was excluded from the final results. 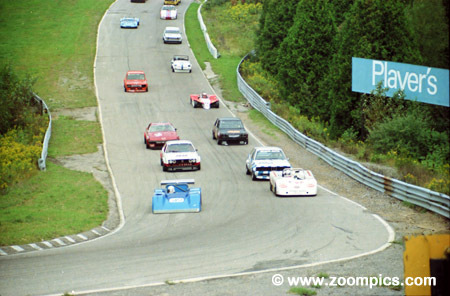 At the 1981 Canadian Runoffs Holm would do much better finishing third in GT3. 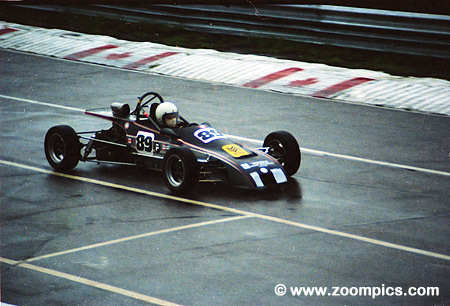 In Canada during the early '80s, Allen Berg was one of the top Formula Ford drivers. 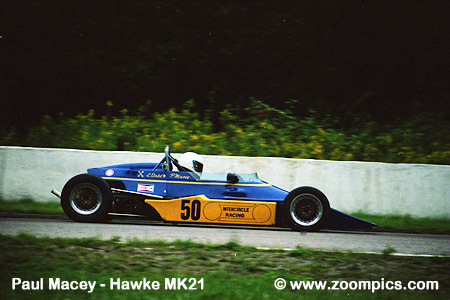 At the 1980 Canadian Runoffs he was running in the top-3 until he crashed. He would go on to have a varied career in motor racing. Before retiring his experience included Formula One, Formula Two, Formula Three, Formula Atlantic, Sport Prototypes and Touring Cars.